Prestige Catering & private chef services, providing the finest food, presentation, and service to S.W. Florida and beyond. We start with a free consultation to gather the details to create a custom tailored menu and plan that meets all of your needs and budget. 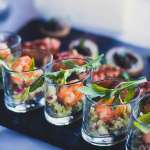 Whether you’re planning a large function, or in need of a private chef for a more intimate setting, Prestige Catering will create an event that will surpass all of your expectations. 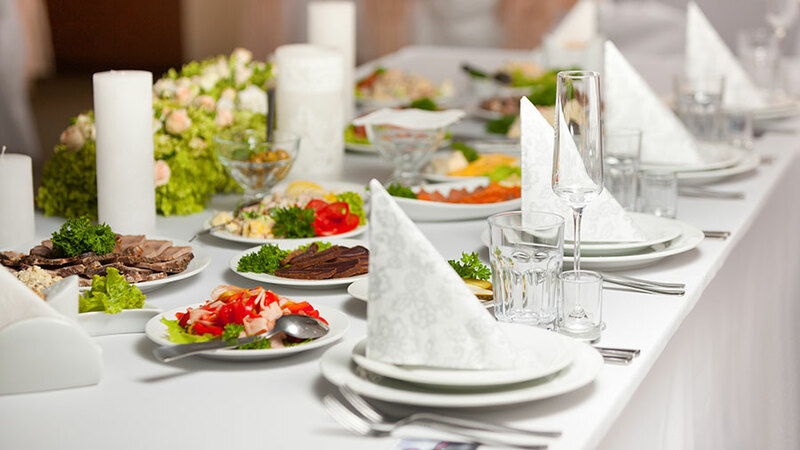 When there is an occasion that requires proper arrangement and the right level of attention, our catering service should be the one that comes to mind. 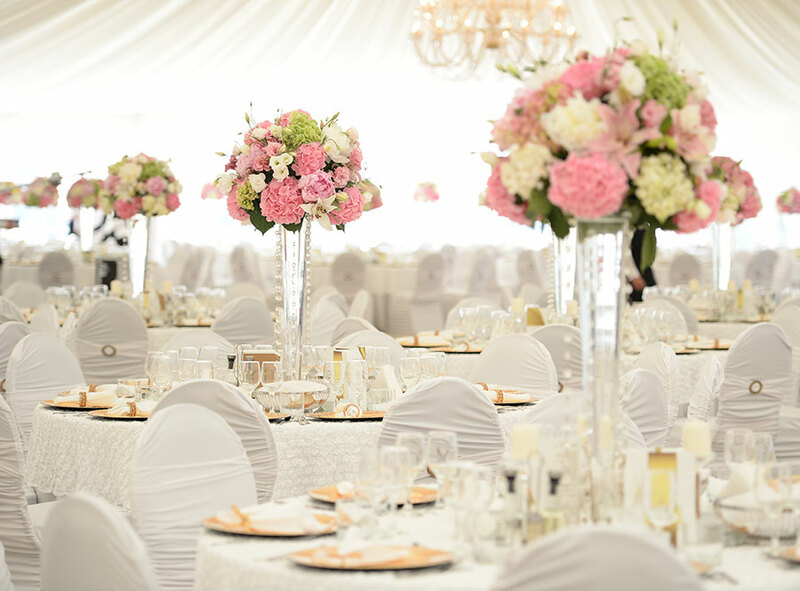 We provide professional service to evaluate your needs and help you create an evening to remember. Our customized menus and food are known for amazing flavor and flair that is hard to come by. If you are looking for delicious food and attention to detail, let us handle your your next event. From local to international cuisine, our chefs can accommodate both easily. 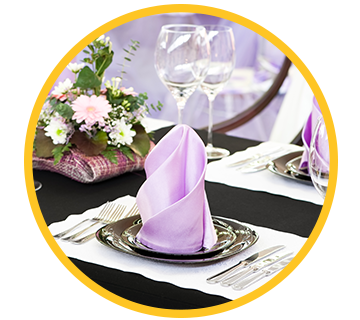 We successful provide food services efficiently on events, parties, and film sets. Whether it is breakfast, lunch, or dinner, large or private parties you can hire our services for any event. 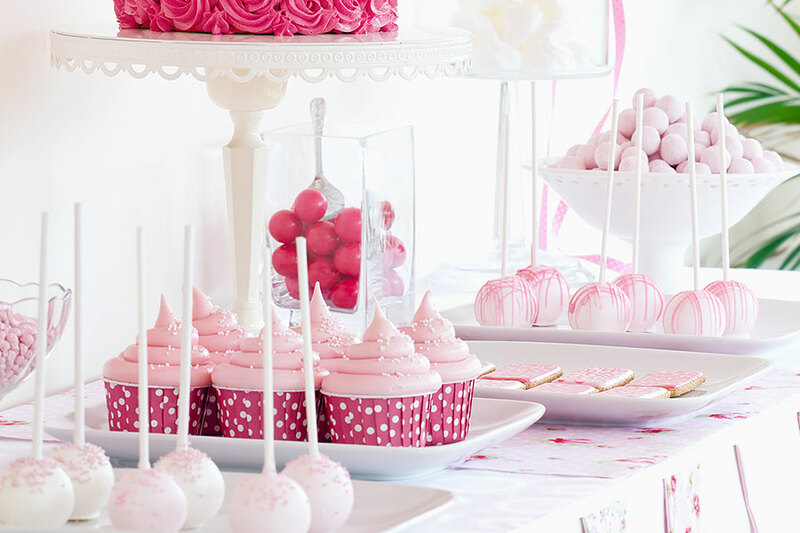 We have a passion for creating memorable parties that make people happy. We make sure that your catering is centered on the best cuisine. Since the start of our catering business, we have made a lot of progress, and now we are among the leading caterers. 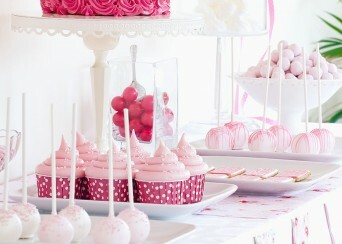 We know that there are different type of parties, and catering should be based on the occasion. 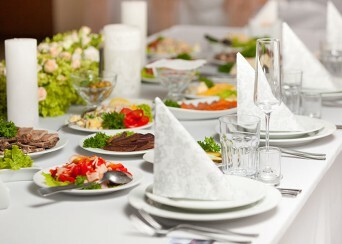 We offer friendly catering service with finest wines and delicious gourmet cuisines. We not only work on food, but decoration, arrangements, and memorable culinary experience are among our considerations. We take pride in our job and prepare the most flavorful food on-site. 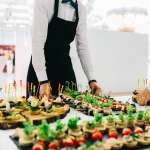 We know that your promotional event is important for you, and with our creative catering service, we bring excitement to your event. You just have to describe your mood and we will come up with a fresh idea that will suit your event. All you have to do is relax, as you watch us take care of your food and decorations. Our mission is to be your only choice when you are looking for updated catering options. Our aim is to offer the most friendly service with delicious food that builds trust and confidence. We believe that food is an art, and if it is made with right ingredients, it can make your wedding, event, or party memorable. We can suggest many ideas that you won’t be able to resist, your wedding cake with honeymoon destination on it, or flavor of Tropical Island where you want to go. Our expert chefs can cook any dish that you want in your event. 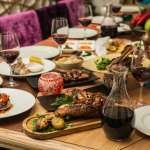 Our award winning culinary experts will work closely with you to create menus that you have never tasted before. You can mix simple menus along with special-ones as a starting point. We believe in doing things differently, we encourage you to hire us so that we can make your wedding, event, or party memorable. Our private chef and food service has varieties in a single package. Our 3rd generation chefs can take any complex job and execute it effectively. Our objective is to offer chef and food services that satisfy our clients regardless of how difficult the job is. It’s your event so you and your guests should enjoy it without complaining. Whether there are 10 or 1,000 people, we can provide food for any small or mega event. We love our job and your personal events, whether it’s a film set, party, or rehearsal dinner, we are dedicated to our business. 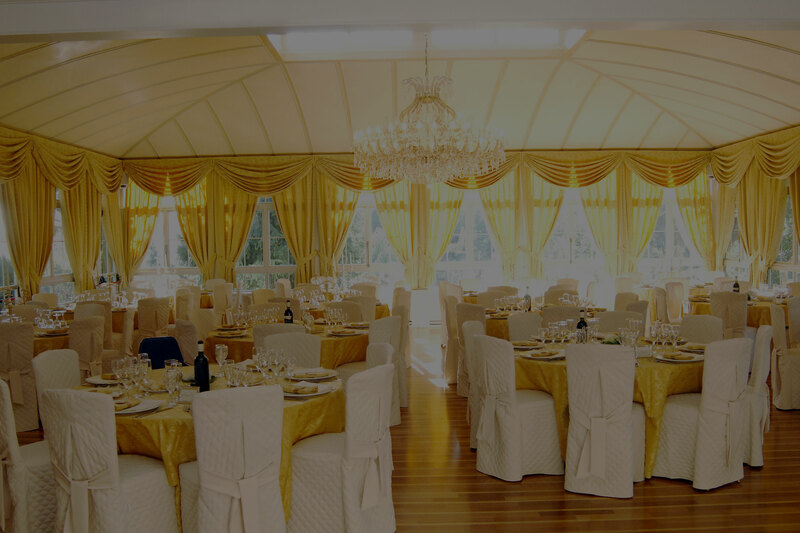 We cooperate with our clients to plan any event or party on short notice. We understand that film set is a busy and professional place. No one wants a catering service that bother actors on the set. Our professional staff knows how tough a situation can be on film sets, so we neither ask many questions, nor do we bother our clients. We try to offer the most delicious of food based on your need. We make sure that every dish our clients need are delicious and well prepared. Our staff is trained and certified, you can request food that you like, or you can leave it up to us. We provide everything under reasonable budget so that our clients are satisfied. No matter how many people you have on your film set, we can handle any number easily. I am happy to give you a reference! My experience with Jay and Prestige Catering was an absolute joy. He was dependable, thorough, extremely helpful and creative. The food was five star quality, magnificently presented and absolutely delicious. We could not have been more pleased. Jay took care of every detail, working with me to ensure that all I envisioned for my wedding was exactly as I wanted. Because our wedding was a destination affair, Jay was my contact for everything I needed from the florist to lighting –he took care of everything and made sure all was first class, elegant, and perfect. He was always available to answer any questions or help solve a problem. Jay also catered our magnificent Brunch the morning after the wedding and again outdid himself with fabulous food and glorious presentations. I couldn’t have had a more perfect wedding thanks to Jay and all that he did for us! Prestige Catering – the name only begins to describe the experience! We hosted a NYE wedding last year and it was without a doubt the best evening ever! In fact, several guests said it was like being in a movie – the lighting, the band, table settings, center pieces, fireworks, – not to mention the food – were all superb. Jay is going to cater our upcoming NYE and brunch the next day. I can’t imagine ending and beginning the year in a finer way. I just wanted to take a moment to say thank you. We appreciate your flexibility with the change of plans due to the weather and above all, everything was delicious! Everybody enjoyed the dinner very much! Many thanks, and for another opportunity we won’t hesitate to contact you again. Thank you for hosting an AMAZING evening! Your food was wonderful and perfectly crafted! In addition, you created an ambiance in my home that took me away from home for a few hours – unbelievable! Your personal touch definitely did not go un-noticed. Just wanted to say what a wonderful catering job you did today at the Confirmation. Everything was wonderful. We really appreciate! On behalf of the Vilages of Emerald bay I would like to thank you for the excellent catering services provided to our community on march 24th 2012 The food was delicious and beautifully presented. Your service staf was efficient, helpful, and hard working. As a member of the catering subcommittee, it was heart waming to hear how much everyone enjoyed their dinner. You did a outstanding job, on a personal note, I enjoyed working with you and lok forward to doing so again.